It’s important to work with an influencer who’s style and personality resonates with who you are as a brand. For example, Urban Decay is currently working with actress and model Ruby Rose, who is known for an edgy look. This fits the bold and edgy feel of the brand, as noted in the tweet below. At the very least, choosing an influencer who doesn’t match your brand voice can confuse audiences and feel awkward, and at the most it can damage your brand. It’s also important to run a thorough background check on the influencer to search for problematic postings. Your brand could face scrutiny for working with influencers who have made controversial comments in the past. Even if your influencer seems like they perfectly embody your brand and values, your marketing efforts could fall flat if their audience does not fall within your target market. You want your brand and products to resonate with the influencer’s audience so you should know as much as possible about them. Also consider the platform that the influencer uses. Some influencers post all their content on Instagram while others have their own blogs or use Facebook. Luanna of Le-Happy is a great example of an influencer active across almost all social platforms. If there is a mismatch between where your influencer lives and where your audience lives, your content won’t make an impact. A brand selling anti-aging products probably won’t have much success with an influencer who only makes Vines. 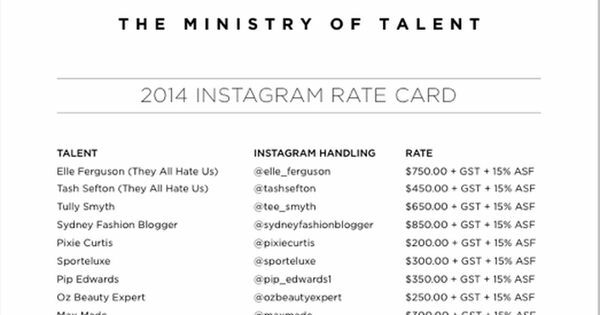 Prices for working with influencers have gone up in recent years. We’ve all heard the stories of Kim Kardashian making millions for one Instagram photo. But you don’t need to work with a nationally known name with a million dollar pricetag. Niche and local influencers can help you reach specific cities and demographics. If your brand is trying to promote a charitable cause or social mission, try to find an influencer who is passionate about your cause and willing to offer their services. At the end of the day, influencers are people, which means you need to build a relationship with them that is symbiotic. While it can take time to find the right person and build this relationship, the benefits to your brand outweigh the cost. Successful influencer marketing can boost your brand image and even your bottom line! Previous Previous post: Does Yelp Help My SEO?